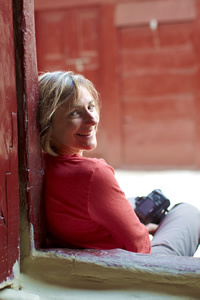 Few places in the world are as rewarding for the photographer as Kathmandu Valley and the Annapurnas. A land of diverse cultures, immense mountains and intense spirit. Here is a place that changed my life, and may also change your photography. This is not a trekking tour, it is purely for photographers! I love Nepal and love the variety of cultures blended into this compact nation. Hindu temples attract Sadu holy men, Tibetan stupas express Tibetan traditions and Newari villages are still graced by talented artists. 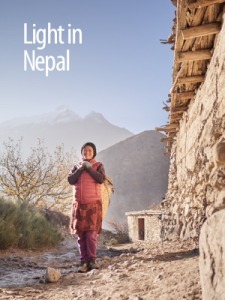 This tour explores the people and culture of Nepal, while we explore advanced ideas behind photographic expression. Travel, learn, be inspired. Nepal is magnificent, and this tour seeks to share the most beautiful aspects of it. We do go into the Annapurnas to get close to snow capped mountains - but we don't do trekking! We schedule this trip annualy for the early Winter when the air is clear and cool in the mountains - the best time for photographers. We meet in Kathmandu on the evening of day one to orientate and meet the group. The next day we start early to see the Monkey Temple (Swayambunath) at sunrise and later in the day we visit the Tibetan quarter and the magnificent Boudanath. This is a remarkable place of deveotion and a unique place to discuss photography techniques. 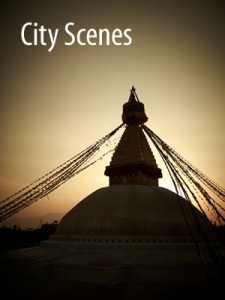 In the afternoon we head deep into the Thamel district and Kathmandu's Durbar Square. From here we wind our way back to the hotel on foot through the residential part of Thamel where the streets are alive with vendors and buyers. By the end of the day we will have immersed in Kathmandy culture and have a plan for our photographic exploration ahead. 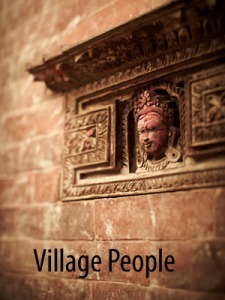 We spend two nights in the city of Bhaktapur, one of the former kingdoms in the Kathmandu Valley. "The City of Devotees" still retains its medieval charm and we get a chance to explore the laneways and Newari architecture with afternoon and morning light. The past glory of the Malla rulers are reflected at the towns Durbar Square while traditional industries of pottery and weaving are on show to this day. At dusk and dawn the streets fill with local produce vendors selling their goods to residents, adding an intimate range of subjects for our photography. We catch a flight to Pokhara and begin our journey by road through the foothills. We have time to stop on the way and photography the scenery and farms. It's a long drive but we'll have private jeeps with 3 people to a car. That evening we finish at a town called Tatopani which has hot water springs and marvellous views of the mountains. The drive from Tatopani to Marpha is stunning, as ever more peaks appear and we follow the path of the Kali Gandaki River. We spend two nights in the charming town of Marpha to explore it's unique laneways and views. These few days also help us to adjust to the mountain air and elevation. The pace is easy for these two days, but there are opportunities for short hikes for those who want to stretch the legs. Accommodation here is clean but simple, taking advantage of some local guesthouses that offer good food and great access to photographic inspiration. We head further into the former Mustang Kingdom where the landscape presents ever changing views of the Annapurnas and their peaks. Dhaulagiri and Niligiri present themselves in various facades as we head into and out of Jomsom. We share some of our favourite photographic locations along the way, making the most of the morning light. The trail is better suited to mountain trekkers than photographers, so hold onto your pack and enjoy the ride. Once we arrive in Kagbeni we'll have some stunning sunrise opportunities, colourful vistas and a Tibetan monastery to photograph. Kagbeni sits at an altitude of 2750m. 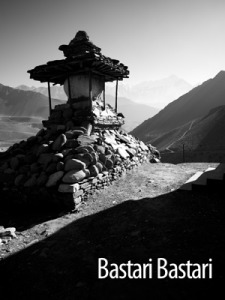 While in Kagbeni we will also make a day trip to Muktinath, the highest place on our journey. The temple sits high above the township at an elevation of 3700m. The sacred temple that attracts both Hindu and Buddhist pilgrams. The most prominent shrine is a Vishnu temple where 108 spouts, fashioned in the shape of cows heads, pour forth water that is considered to be holy. We will explore another village close by to Muktinath as well with the option to continue walking downhill during the day. ANyone who prefers to rest with a hot pot of tea can jump in the jeep and meet us lower down the hill. We spend the morning visiting another village near Jomsom, then return to our accommodation near the airport after lunch. We have a favourite guesthouse here that serves great fresh crushed apple juice, fluffy pancakes and potato & cheese momos. We rest up before flying out very early the next morning, but also plan to get one last chance to shoot the peaks of Nilgiri at dusk and dawn as Jomson provides excellent views of these ranges. We fly from Jomsom to Kathmandu and enjoy a little pampering after the dust and elevation of the Annapurnas. Our final full day in Kathmandu will give us a chance to explore the most significant and chaotic Hindu temple of the valley, Pashupatinath. We'll meet the holy men and learn about the art of cremation. It's a unique and very public sacred site. On the final day we head to the airport at Kathmandu and fly home. Your transfer to the airport is included and we recommend you arrange flights to depart around lunchtime or soon after. - Farming villages, wild horses, tamed yaks and goat herds. 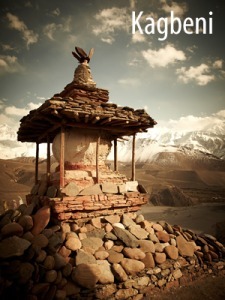 - Muktinath outpost located below Thorong Pass along the Annapurna Circuit. 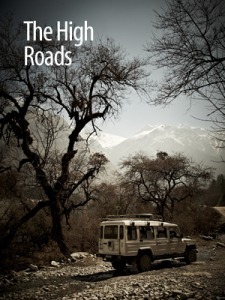 - Access by jeep to Annapurnas instead of trekking. Option to walk sections instead of taking the jeep. - All costs are included in this trip, such as meals, tipping, porters, internal travel and more. 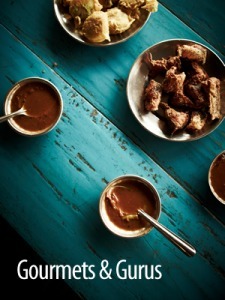 Travelling to Nepal with Ewen & Ian truly lived up to its billing as a travel photography adventure. The itinerary took us from the colour and chaos of Kathmandu via the genteel charm Bhaktapur and Bandipur to the majestic Annapurna mountains providing us with a variety of people, places and landscapes to get the creative juices flowing. Ewen is an inspirational teacher, he was always on hand to provide assistance or feedback whereever required. He also demonstrated techniques for shooting in a range of lighting situations to ensure we all developed our understanding of how to work with the light allowing us to come away with some memorable images. Ian was also very willing to pass on his wealth of experience of shooting landscapes (particularly panoramas which came in very handy in the Annapurnas). Ewen’s passion for photography is matched by his respect and passion for the culture and the people of Nepal (and maybe a plate of momos). That affinity for the local people has helped Ewen build a strong local support team on the ground who were very friendly and worked hard to ensure our trip went as smoothly as the road conditions in Nepal will allow. 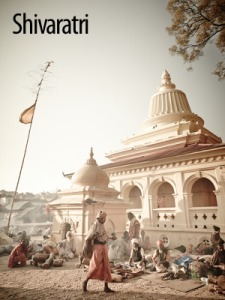 Anyone considering a photo journey to Nepal really need look no further. 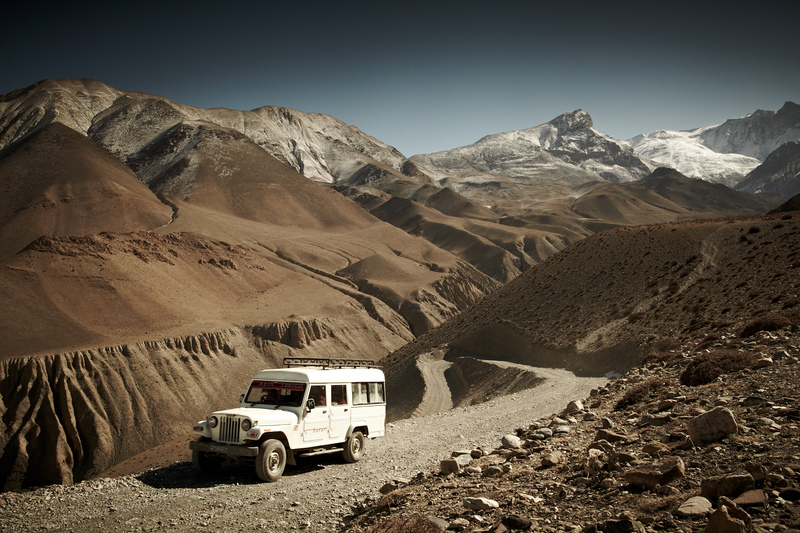 Our journey with Ewen Bell through Nepal in 2014 was exciting both scenically and culturally. The majesty of the mountains is probably surpassed by the friendliness of the people. There are many great photographic opportunities of the people, their towns nestled between the giant peaks, and their religious shrines as well as the mountains themselves. Ewen had a lot to teach, especially regarding the use of light to make stunning images and the use of color in post-processing to recreate the mood of the country. One especially treasured set of memories is of the local guides who were among the most considerate and warm people we have encountered. Joining Ewen Bell on his Nepalese tour was the best travel decision I've ever made. 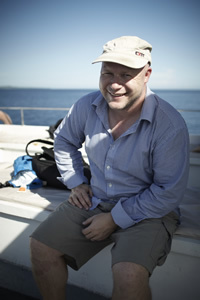 Ewen oozes knowledge and passion, his affinity with the local people is infectious. I learnt so much about photography and coupled with using the best available light it was an awesome adventure. The support team around Ewen was fantastic, from checking into accommodation to being out on the road I couldn't have asked for more. I've made some great friends and can't wait to do it again, frankly i couldn't recommend him highly enough! I travelled to Nepal with Ewen earlier this year. This is my fourth photography tour with Ewen and as always I loved the trip. Ewen has a gift of showing you the 'real' aspects of a country and it's people. Every day is an adventure and learning different photography techniques and his passion for his craft is inspiring. His mantra 'go slow' means that you get to see and do things that others may never experience. I thoroughly enjoy travelling with Ewen, he is a fabulous mentor, a great travel companion and I look forward to doing another trip with him." I now fully appreciate what the words 'tour de force' mean. From the frenetic pace of crowded Kathmandu to the more gentle pace of ancient Baktapur, the wildlife of Chitwan National Park, the picturesque provincial town of Pokhara, the rugged beauty of the Anapurnas and village life in rural communities, we had an amazing time. Nearly every day, we were up before the sun to catch the first precious rays of light and at the end of the day totally ready to collapse into bed. Yes, it was hard work but the rewards were well worth the effort. The travel experience was a pleasure, occasionally punctuated with the odd surprise, such as an unexpected departure from Chitwan by elephant. Just as importantly, my photography reached a new level. I felt rather like the sorcerer's apprentice following in the footsteps of the sorcerer (Ewen Bell) who helped me along the path to improving my digital sorcery. The results speak for themselves and I can even claim to be smugly proud of more than a few remarkable shots. So many thanks to those who made it possible: Ewen, Sam the Mountain Man, Mr Mohan, our gentlemanly Nepali guide, and most of all the Nepalese people who were a delight everywhere we went." My fourth trip with Grasshopper Adventures to Nepal was the best yet. Someone on the trip said that her friend suggested that travelling to Nepal was the journey of a lifetime, and for all of us, I think it was. We started in the warm, vibrant and colorful Kathmandu Valley, moved to the rhinos and elephants of the Chitwan National Park, then on to the gray, stoney architecture of the mountain towns with bold splashes of color here and there and the majestic Himalayas shining in the sun. Spiritual places, scenery that takes your breath away, and people that are the kindest and warmest you will ever meet - that's what we photographed. And Ewen and Sam gave us their experience and love for the country along the way. Tibetan music in the van, sunrise to catch the first light on the mountain peaks, an arm around an old man showing us his sword, a hug for a kid, a laugh and a cry. What a journey of a lifetime!" You won't find a better tour experience: Unmatched knowledge of the locations and local support, hand crafted experiences that run only once every one or two years, our experience teaching the art of photography and a commitment to smaller group sizes. These tours are not just for advanced photographers, we love welcoming beginners to the craft to help them fast track their creative abilities. Sharing what we know and giving other photographers a truly wonderful experience is the best part of running these tours. If you're ready to learn new skills while you travel then this is the trip for you. If you want to spend quality time with like minded people and enjoy the sharing of knowledge and experiences, then we would love to have you along. Small isn't just good, it's great! If you have a few questions and want to chat to Ewen, just click the button below and email your questions. When you're ready to book just use the booking form below. Once you've paid the deposit of $2,200 your place on the tour is confirmed. If you wish to upgrade to a single room we can add that to your booking as well.